Maidan Wardak Province (Pashto: ), also called Maidan Wardag or simply Wardak Province, is one of the 34 provinces of Afghanistan, located in the central east region of Afghanistan. It is divided into eight districts and has a population of approximately 567,600. The capital of the province is Maidan Shar. The province is named after the Pashtun tribe of Wardak. During the communist times, the people of Wardak never gave significant support to the communist government. Wardak Province was significant during the Civil War in Afghanistan, due to its proximity with Kabul and its agricultural lands. Hezb-e Wahdat had significant presence in the area. Most of the area was captured by the Taliban around winter 1995, and after the capture of Kabul, Wardak Taliban were significant in the fight for Parwan Province and Kapisa Province. 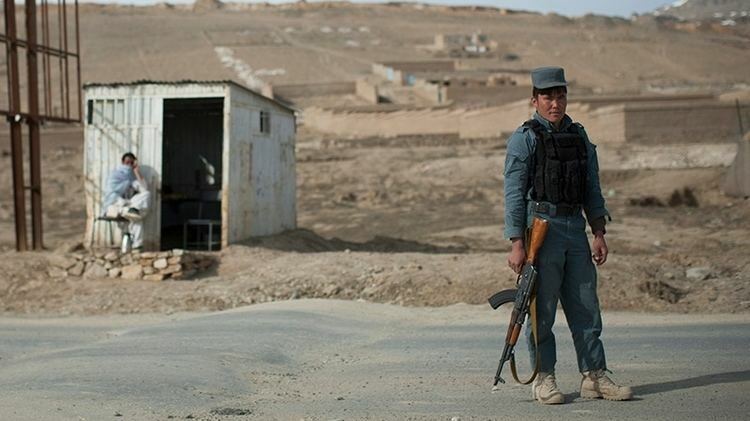 The security situation rapidly deteriorated in Maidan Wardak in 2008 and 2009. According to a report by Mohammad Osman Tariq Elias, both Logar and Maidan Wardak, by the end of 2008, were under de facto Taliban control. As of April 2009, the Ministry of the Interior (Afghanistan) had listed the entire province as "High Risk." Maidan Wardak province is located in the central and eastern region of Afghanistan; bordering Parwan to the northeast, Kabul and Logar to the east, Ghazni to the south and Bamyan to the west. The capital of Maidan Wardak province is Maidan Shar, which is located about 35 km from Kabul. 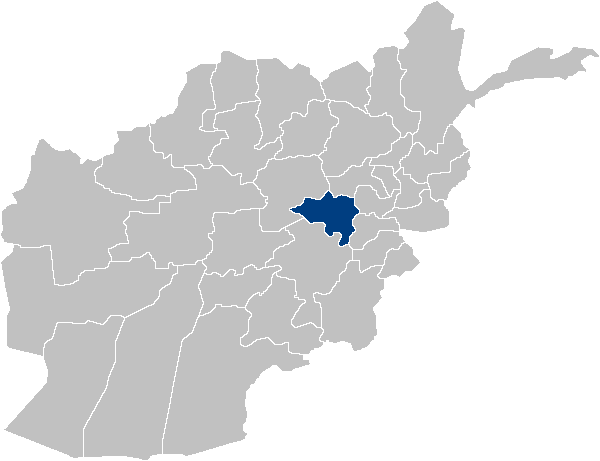 Maidan Wardak province covers an area of 9,934 km2. It is mountainous like the rest of the country with plains and many valleys. The majority of its residents live in rural areas. The most heavily populated areas are along the Kabul–Kandahar Highway. The rest of the province is thinly populated, with villages concentrated in areas with available irrigation and water sources (CSO and UNFPA, 2003).